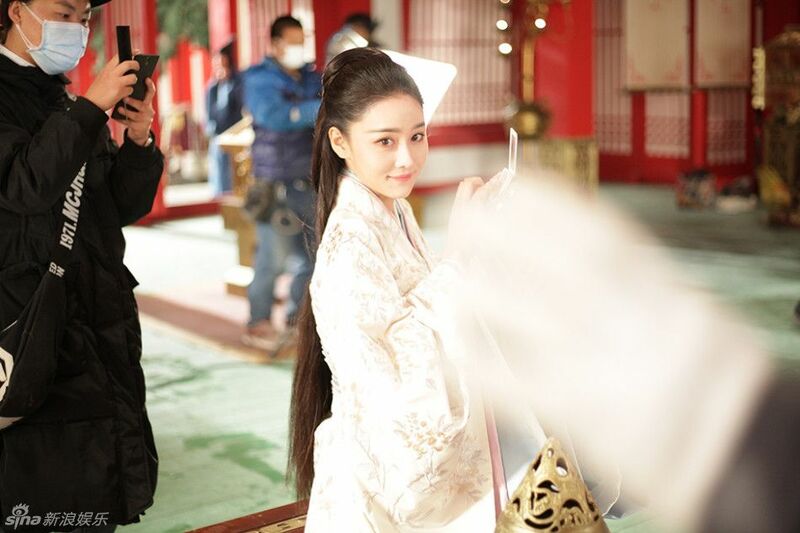 =======> ♦ More stills and a behind-the-scenes video of Yu Zheng’s Demon Girl with hot newcomer Johnny Huang Jing Yu. 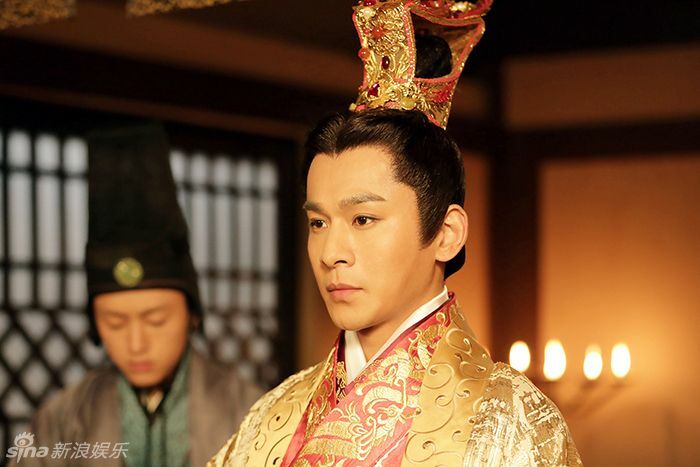 =======> ♦ Stills of Qiao Zhen Yu and Viann Zhang for Song of Phoenix. 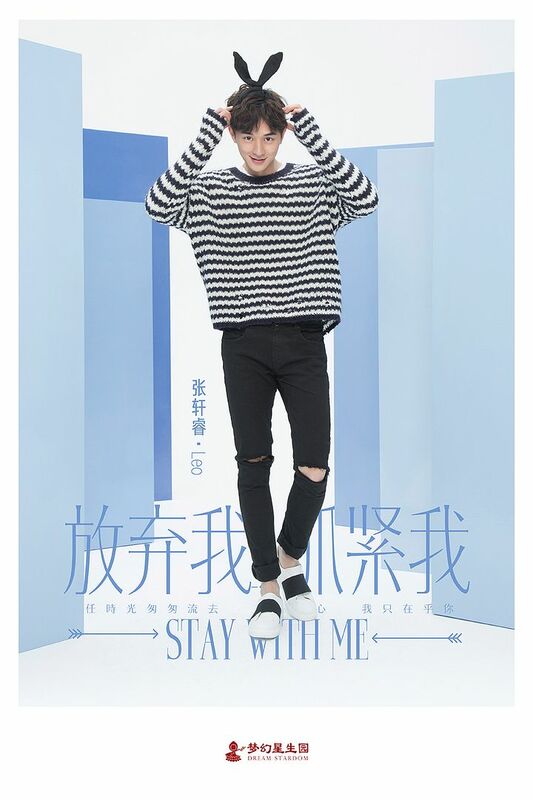 =======> ♦ More generic but still very cute posters of Stay With Me. They captured so many pictures and only released like five… ahum… A BTS video below. 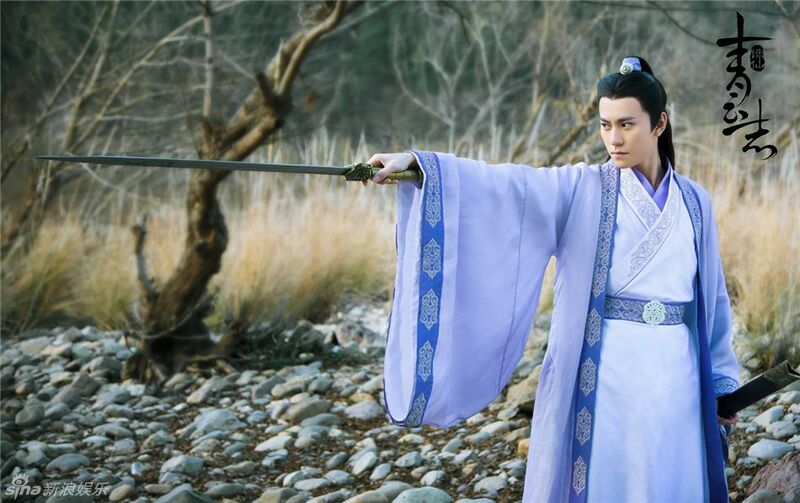 =======> ♦ The Legend of Chusen with Li Yi Feng, Andy Yang, and Zhao Li Ying. =======> ♦ Promotional materials for 15 Years of Migratory Birds. F4 parody (Sorry but Jerry owns that rooster hair then and NOW. LOL.) 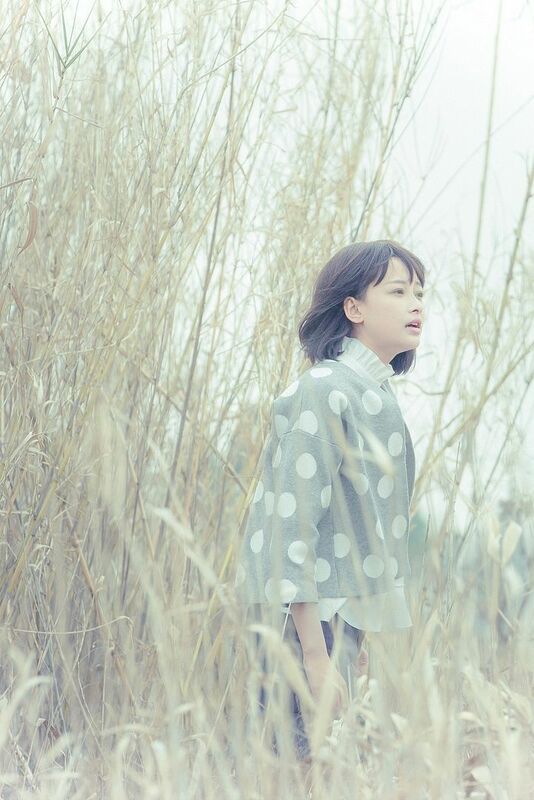 and a song “Youth” by Ryan Zhu. 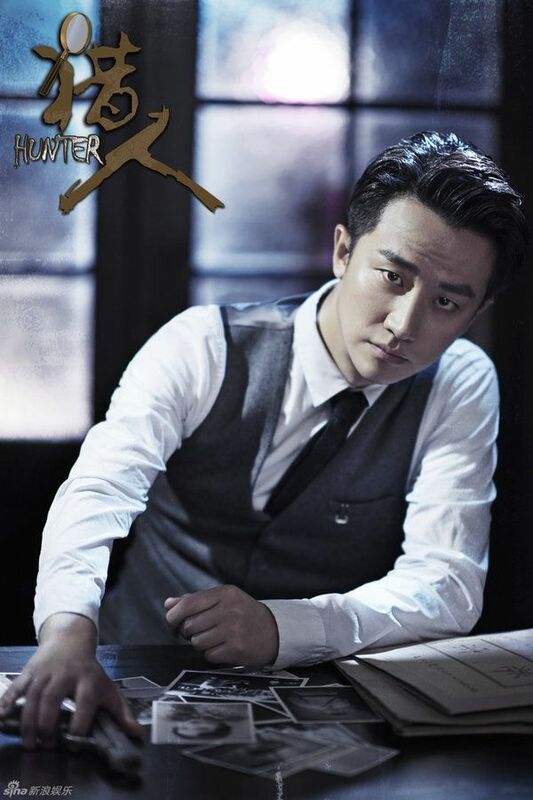 =======> ♦ Huang Xuan‘s republican drama, Hunter (猎人), will air on March 21st, 2016. Danggit, he looks so good! 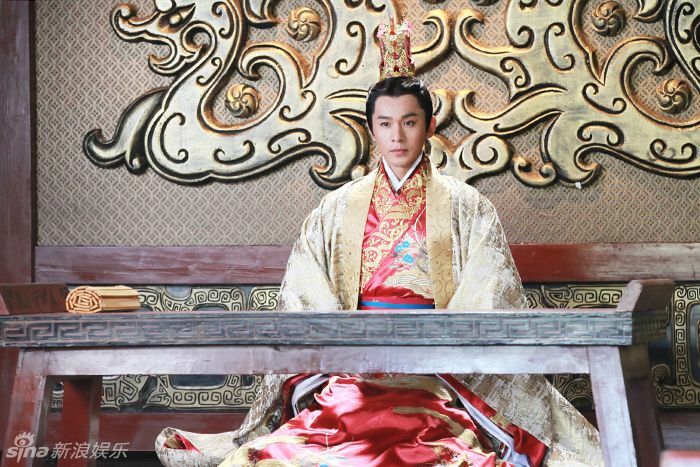 =======> ♦ Jiang Xin and Hawick Lau started filming their lawyer drama, The Successors/Heirs (继承人) together last week. Some stills below. 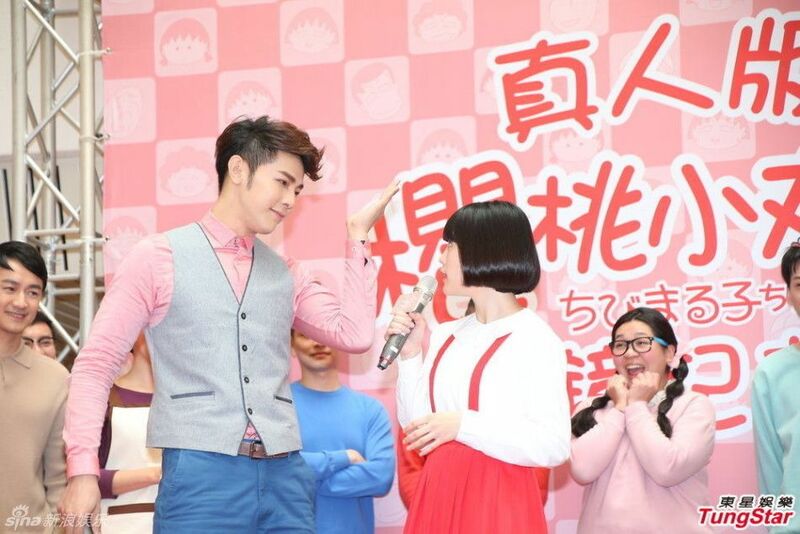 =======> ♦ Live adaptation of manga series Chibi Maruko-Chan (樱桃小丸子) starring Jiro Wang and Lin Xin Lei is met with heavy backlash for casting actors that are too old. Lol. 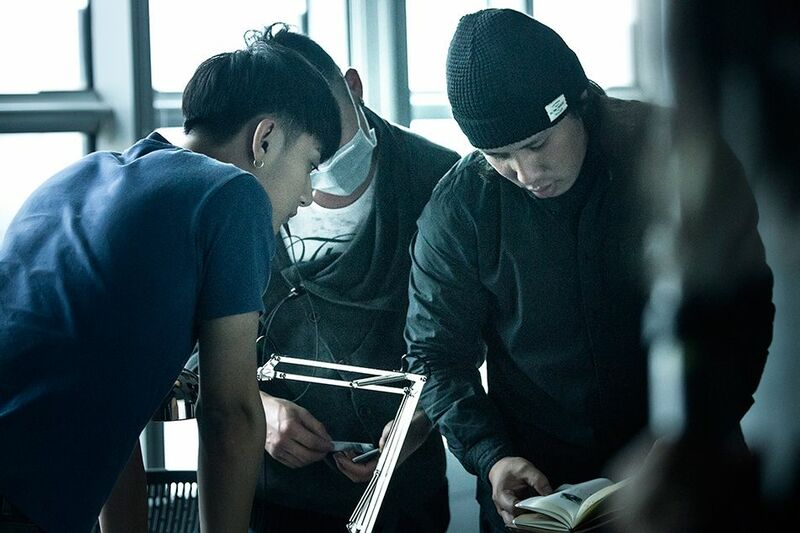 Jiro also takes on the task as the producer of the series with 30 episodes. Filming is almost close to being done. 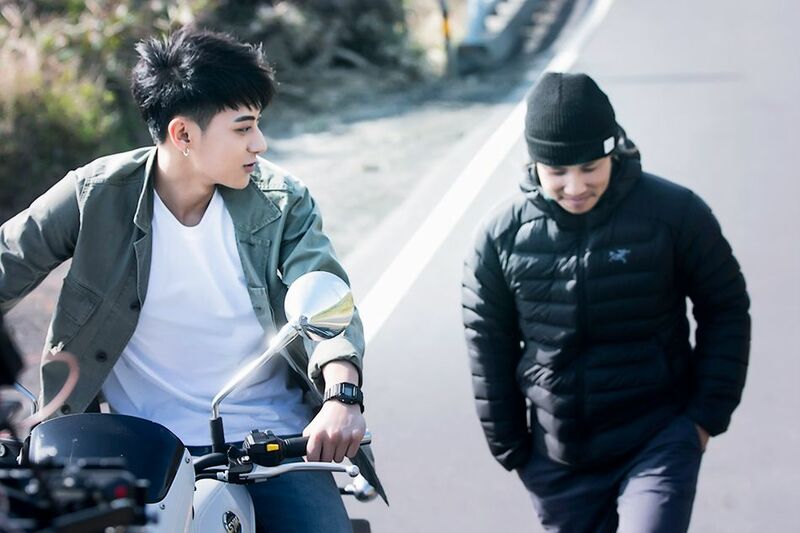 =======> ♦ Stills of Ex-Exo’s Huang Zi Tao on the set of movie adaptation of Japanese novel, Summer, Nineteen-Year-Old Portrait (Natsu, Jukyusai No Shozo), written by Soji Shimada. 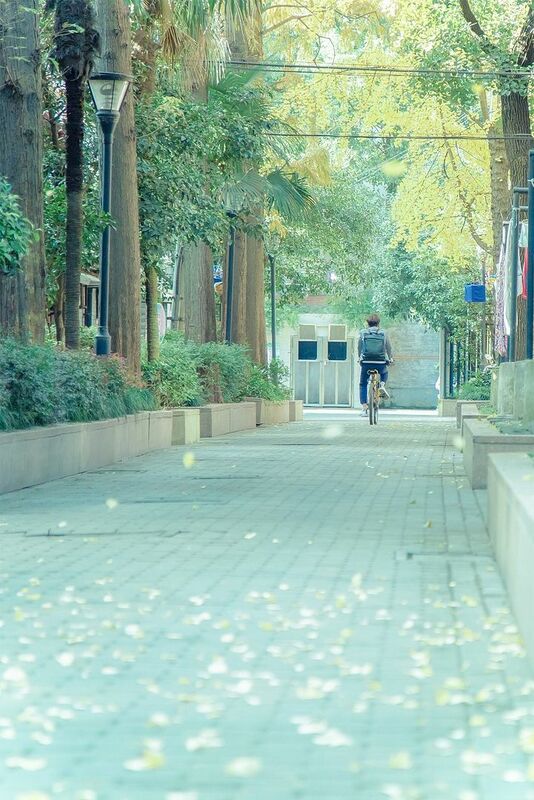 His character is described as handsome and a brilliant basketball player in his first year of college. After being hospitalized for his injuries, he harbors a crush on a beautiful girl and discovers her life’s biggest secret. 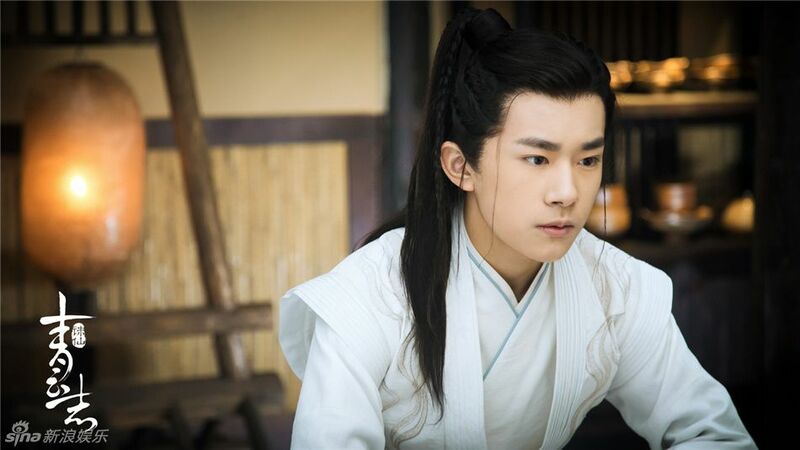 =======> ♦ TFBOYS star as leads in upcoming sci-fi webdrama, Finding Soul (超少年密码). First trailer below. 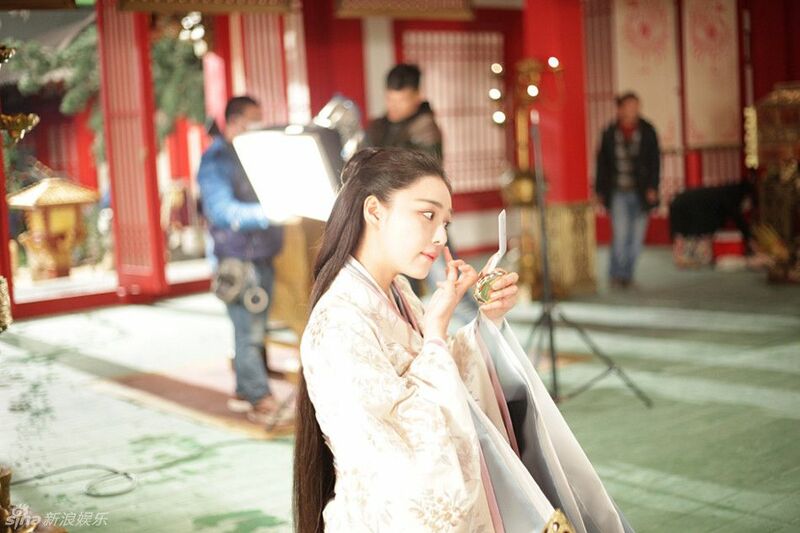 =======> ♦ Nana and Cheney Chen begin filming for Guo Jing Ming’s fashion drama, Fashion Kingdom (Yes! Shang Xian Sheng 是！尚先生). 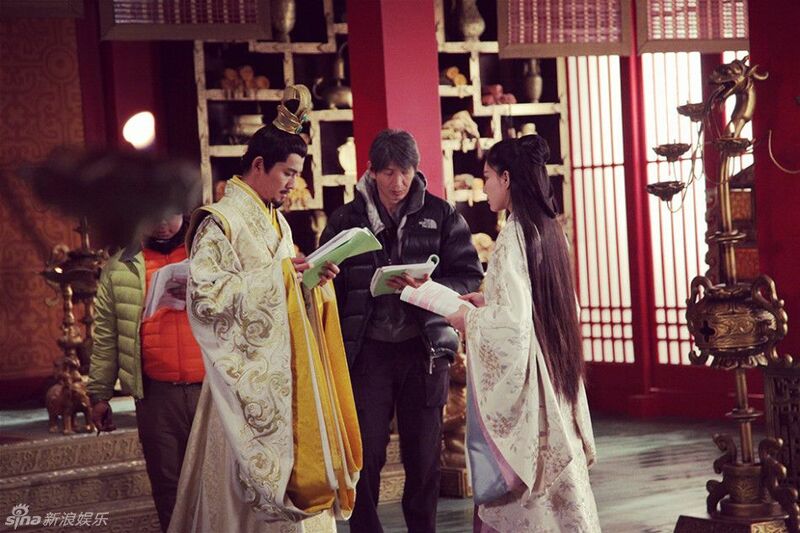 =======> ♦ Wallace Huo getting his measurements done for his wax figure in Shanghai. Looking bored as heck. Lol. 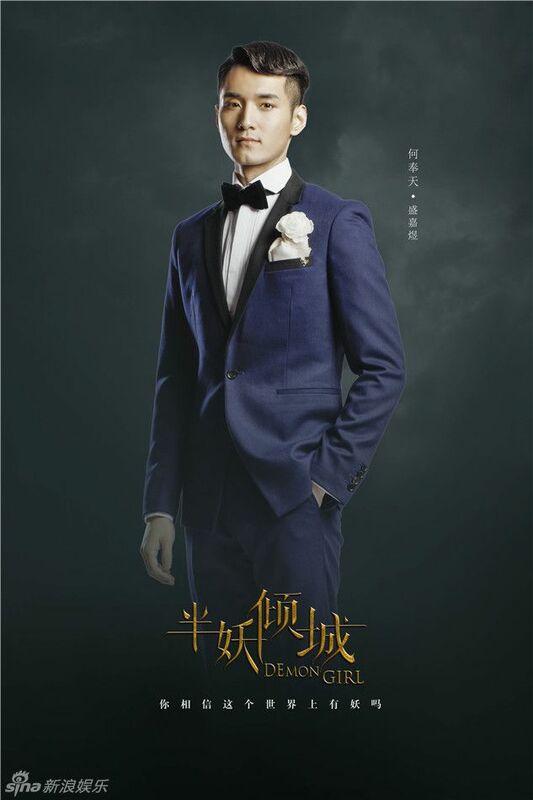 =======> ♦ EXO’s Oh Se Hun, Janice Wu, Song Wei Long, and Ju Jing Yi are rumored to be upcoming romcom film, I love a Cat Demon (我爱喵星人), produced by Huace Film & TV and Croton Media. 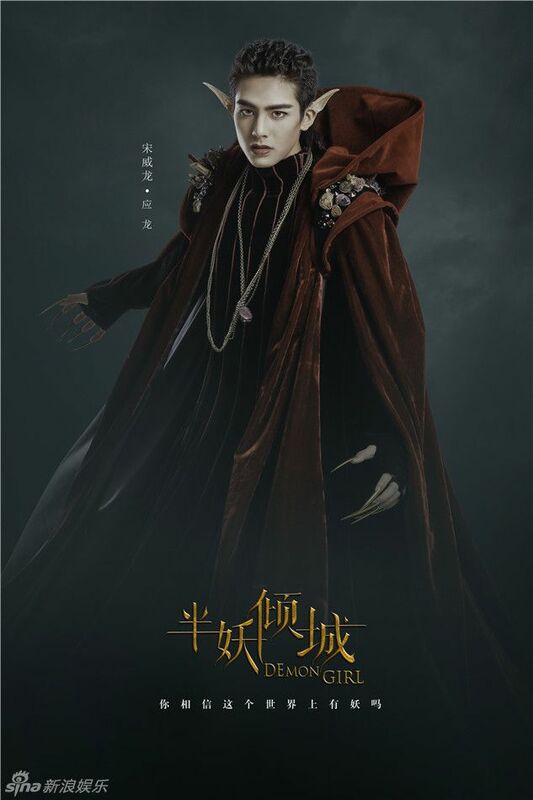 =======> ♦ Guo Jing Ming’s Rush To the Dead Summer will be adapted into a drama. 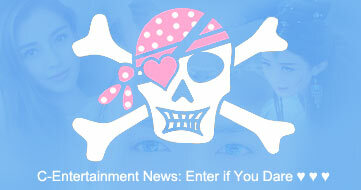 =======> ♦ News rolled in that Ji Chang Wook is courted to replace Yang Yang’s role in Taekwondo Girl Season 2. Complete new story. 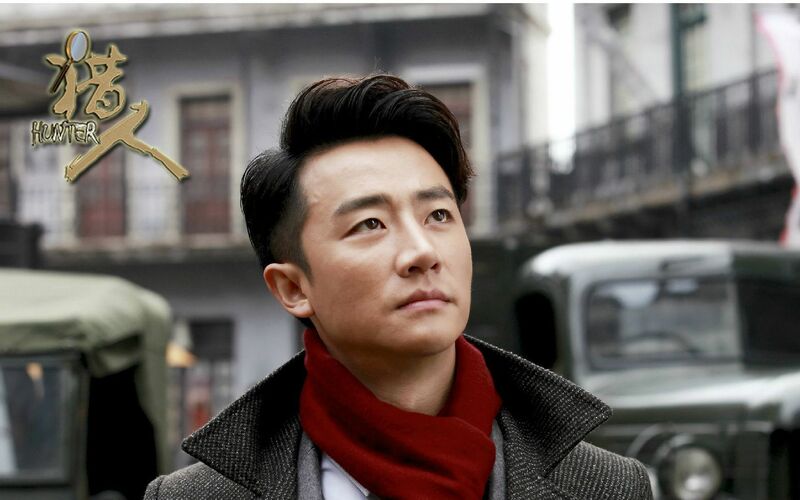 =======> ♦ Ruby Lin and Jia Nai Liang‘s modern drama, A Wonderful Journey Through Time (officially called Magical Space Time) (奇妙的时光之旅), will air on HNTV on April 20th. 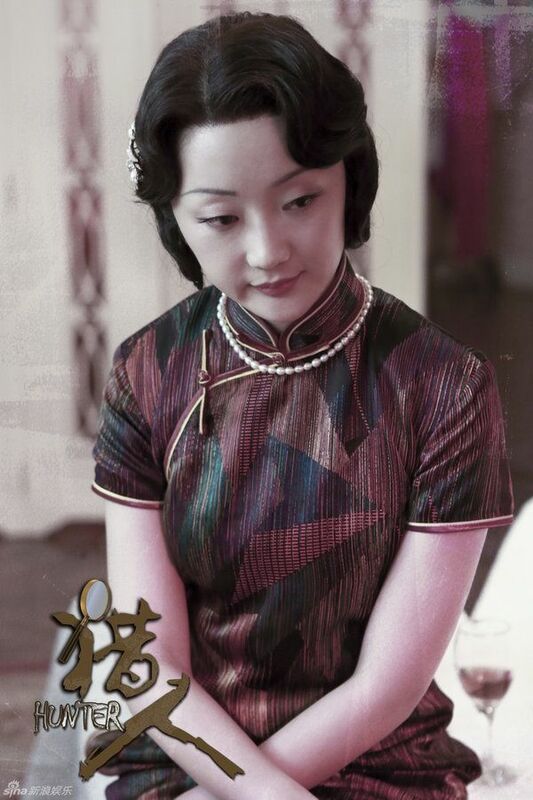 The series also stars young starlet Xu Lu. The storyline is pretty vague. A selfie which has the ability to take you back in time? That’s a new concept. 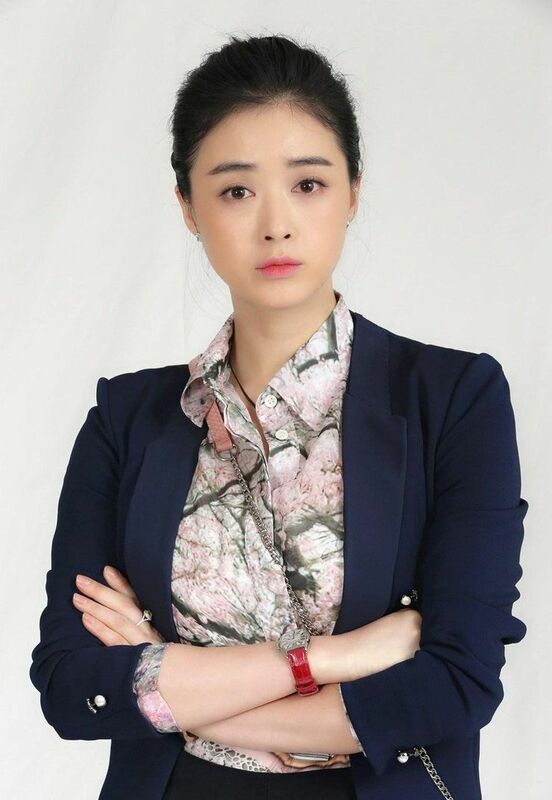 =======> ♦ Drama version of Suddenly Seventeen casts Jiang Meng Jie and Jiang Chao. 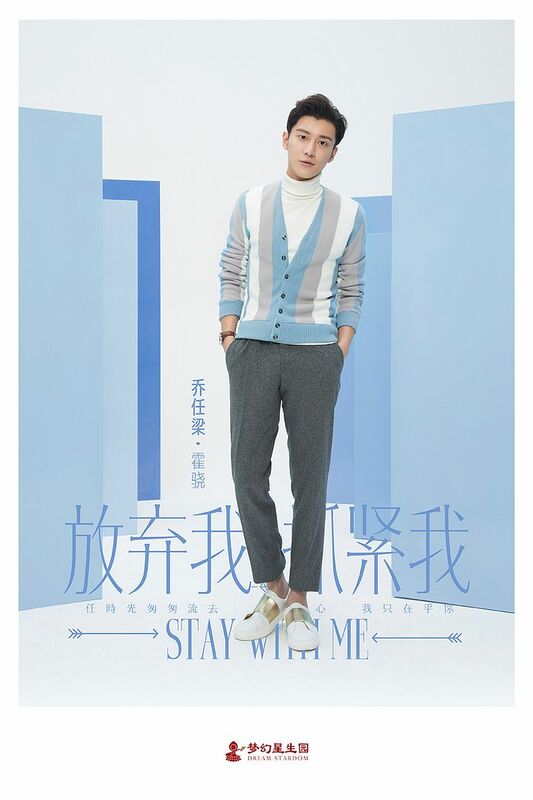 Movie version has Wallace Huo, Ni Ni, and Darren Wang. =======> ♦ Selina of S.H.E split with husband of five years. They knew each other for 9 years. 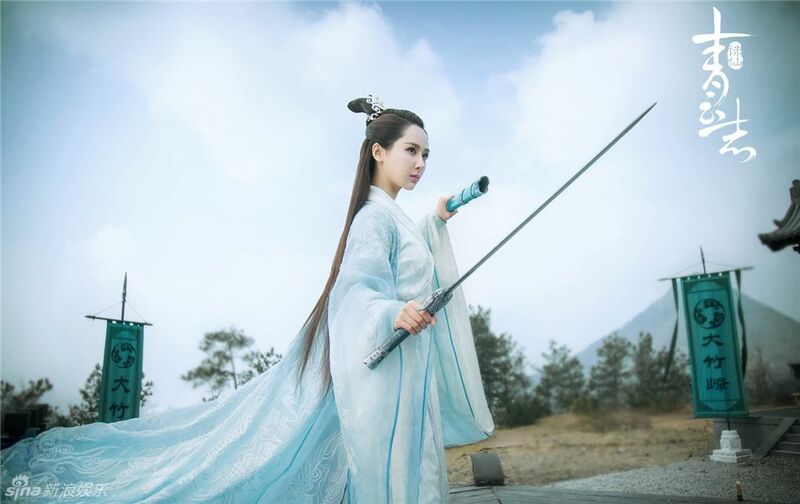 =======> ♦ The new regulations SARFT issued basically ban everything under the sun. Do we want to progress or regress here?? Screw you! 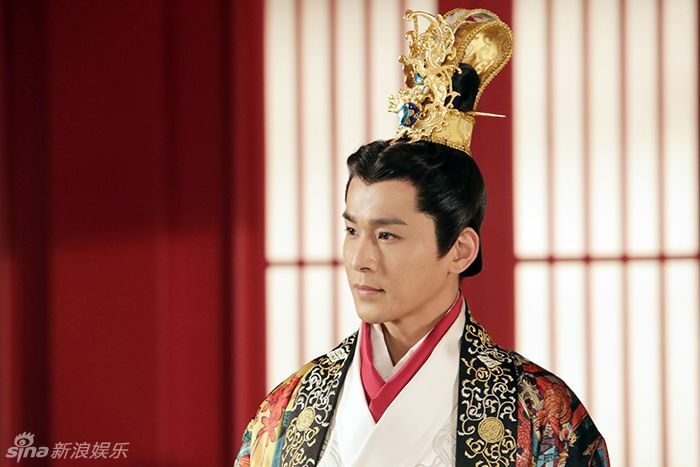 =======> ♦ Gina Jin and Michael Chen begin filming for new drama, Legend of Ace, today 3/5/16. More info to follow. 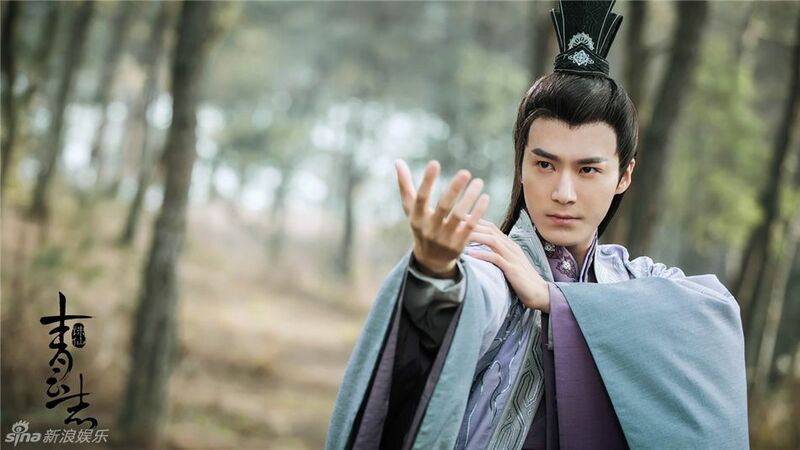 =======> ♦ Drama adaptation of novel A Lonesome Fragrance Waiting to be Appreciated (孤芳不自赏) written by Feng Nong is now courting Wallace Chung as the male lead (Angelababy is the female lead.) I don’t know. I want a new face thrown in the mix. Wallace should take a break! 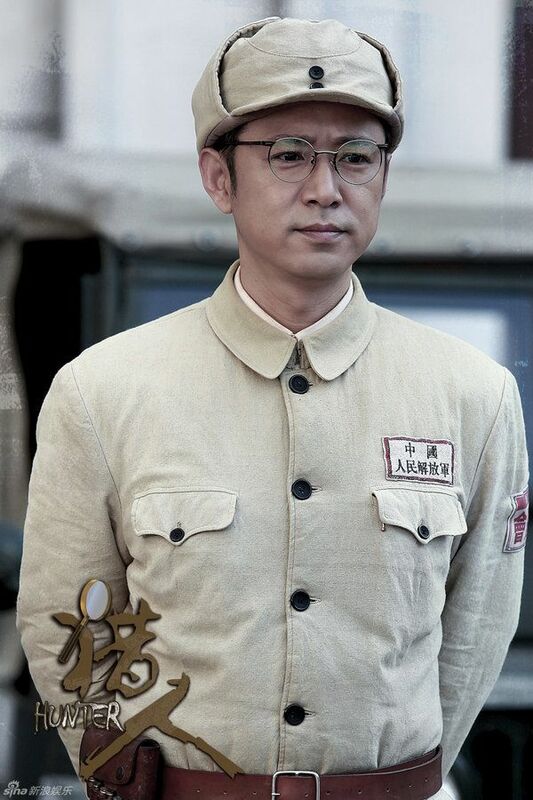 The other two faces rumored to be added is Johnny Huang and Alan Yu. 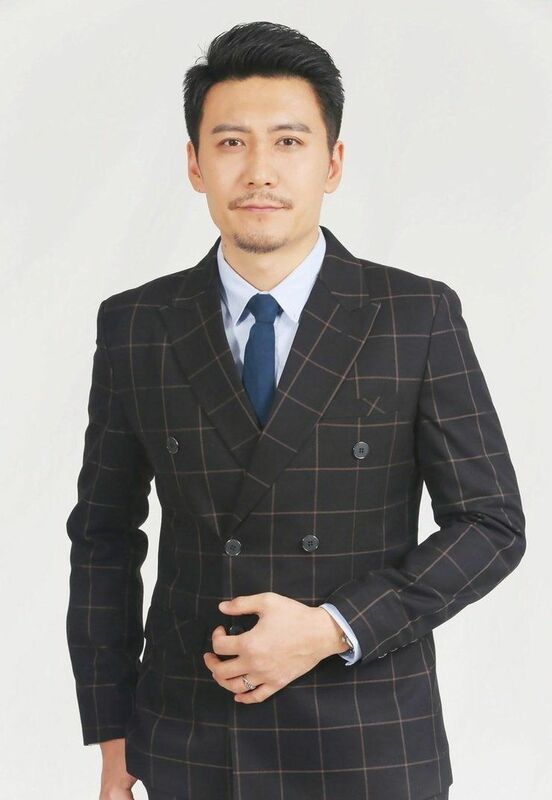 =======> ♦ Li Ying wrapped up her scenes for Old Nine Gates on March 2nd, William wrapped up his part today (3/4/16) after three long months. Thank drama gods! 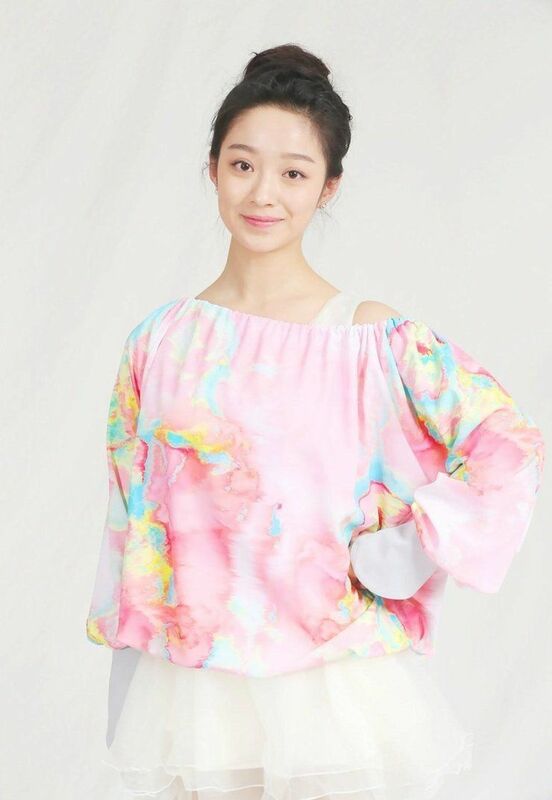 She and Huang Xiao Ming will be shooting an ad for a bike company in a few days. Interesting. 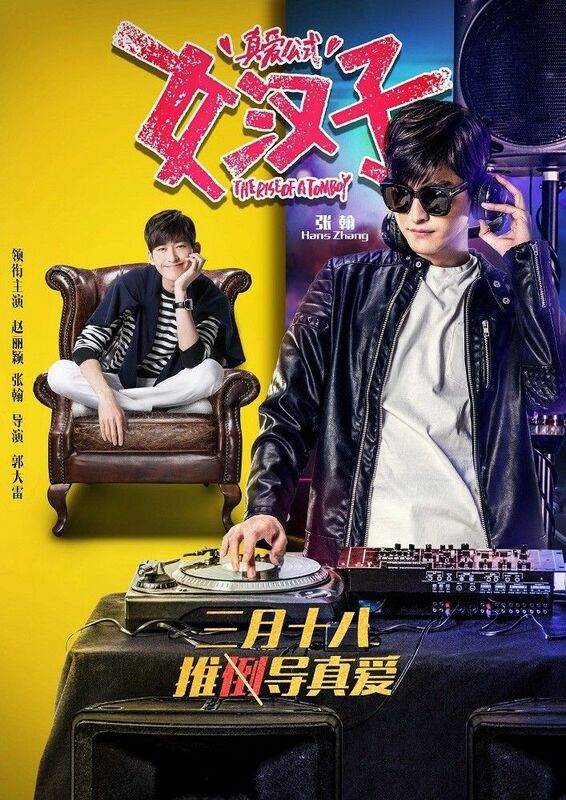 Themesong of The Rise of A Tomboy is “Heart Beat” by Silence W. More reason to look forward to the romcom because Song Yi has a cameo role! 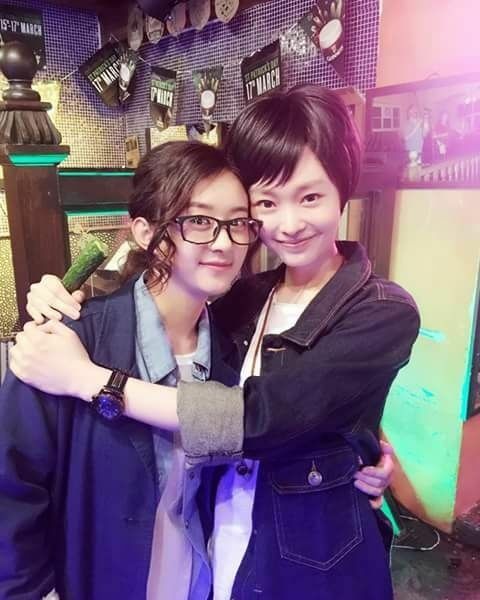 That’s not it, they also starred together in Cuo Dian Yuan Yang (I do not remember.) 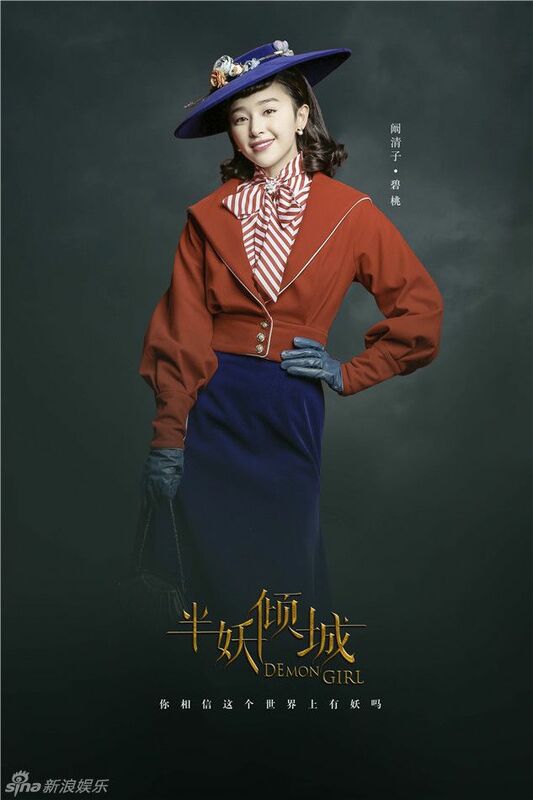 Li Ying’s participation in the variety show, Mystery Music Show, will air on March 20th. The show is about guessing the real identity of singers – fake or real, through hearing their voices. Other guests on the panel are Hua Chen Yu, Joey Yung and Daniel Chan. I hear Lay and G.Dragon were also invited. 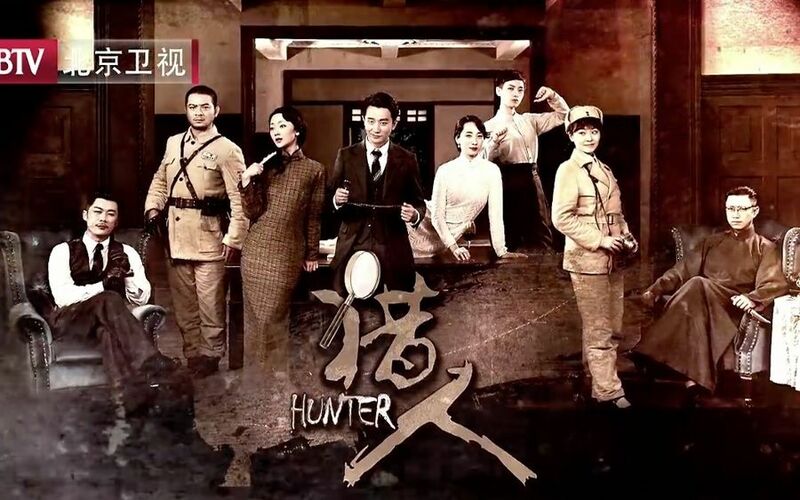 This entry was posted in Entertainment News, Music Videos, Variety Shows and tagged Alan Yu Meng Long, Andy Yang Zi, Cdrama, Cdramaland Newsbreak, Chen Ran, Cheney Chen, Chibi Maruko-Chan, CMovie, Demon Girl, Derek Zhang Xuan Rui, Dilraba Dilmurat, Edge of Innocence (Summer - Nineteen-Year-Old Portrait), Fifteen Years of Waiting for Migratory Birds, Finding Soul, General and I (A Lonesome Fragrance Waiting to be Appreciated), Gina Jin, Hawick Lau, Huang Xuan, Huang Zi Tao, Hunter, Ji Chang Wook, Jiang Chao, Jiang Meng Jie, Jiang Xin, Jiro Wang, Joe Chen Qiao En, Johnny Huang Jing Yu, Kimi Qiao Ren Liang, Legend of Ace, Li Yi Feng, Magical Space Time, Mao Zi Jun, Michael Chen, Nana Ou-Yang, Nick Wang Kai, Novel Adaptations, Qiao Zhen Yu, Song of Phoenix (Si Mei Ren 思美人), Song Wei Long, Stay With Me, Suddenly Seventeen (28-Year-Old Minor), Suddenly Seventeen Drama, Sun Yi, TFBOYS, The Flame’s Daughter (Lie Huo Ru Ge 烈火如歌), The Legend of Chusen (Jade Dynasty), The Rise of A Tomboy, The Successors, Tina Tang Yi Xin, Viann Zhang Xin Yu, Wallace Chung, Wallace Huo, Yes! Mr. 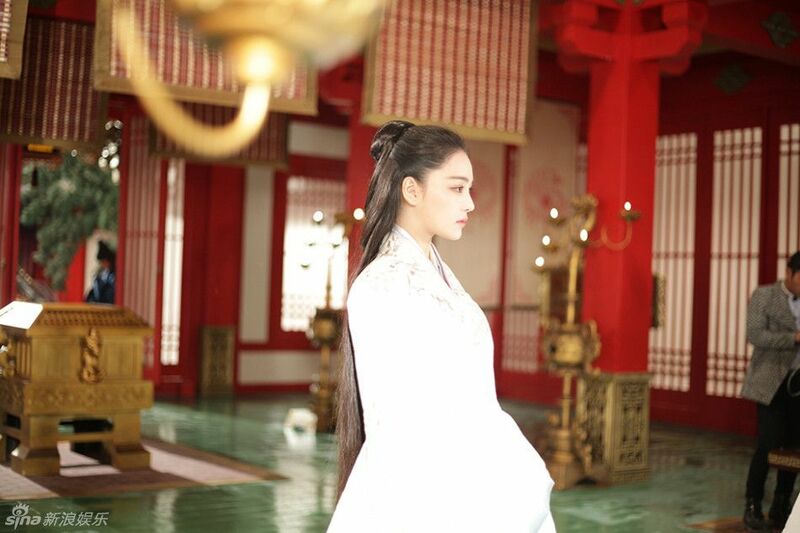 Fashion, Zanilia Zhao Li Ying, Zhang Ruo Yun by Kappy. Bookmark the permalink. And Jiro, what made you agree on those PSs? Whyyyy? Your original face was so cute! Honestly, Kappy, if no one told me it was him, I wouldn't be able to recognize him. Me and you both. I haven’t finished anything in ages too. 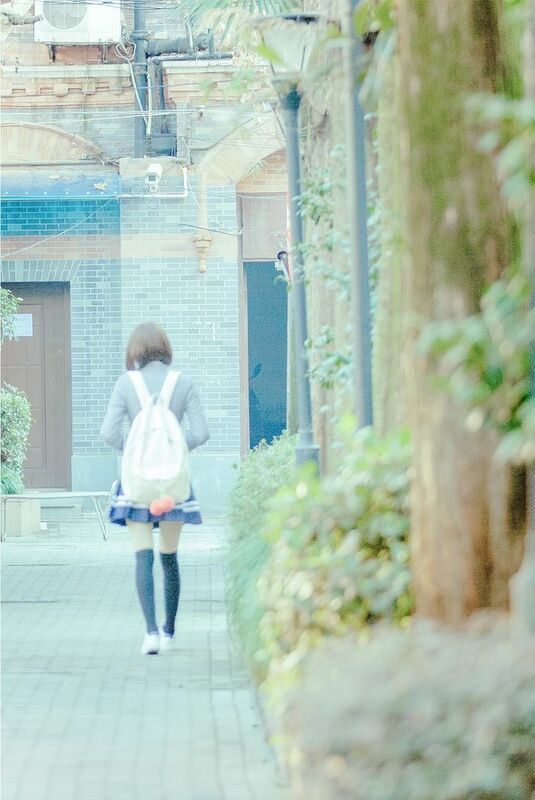 T____T Where’s the crack drama to feed our lonely souls? Demon Girl and Rise of a Tomboy. Hope to see those someday. The SARFT rules , 0.o . Going to make for some dry dramas. True. I don’t understand the people behind the desk making these ridiculous decisions. Like what? WHAT? 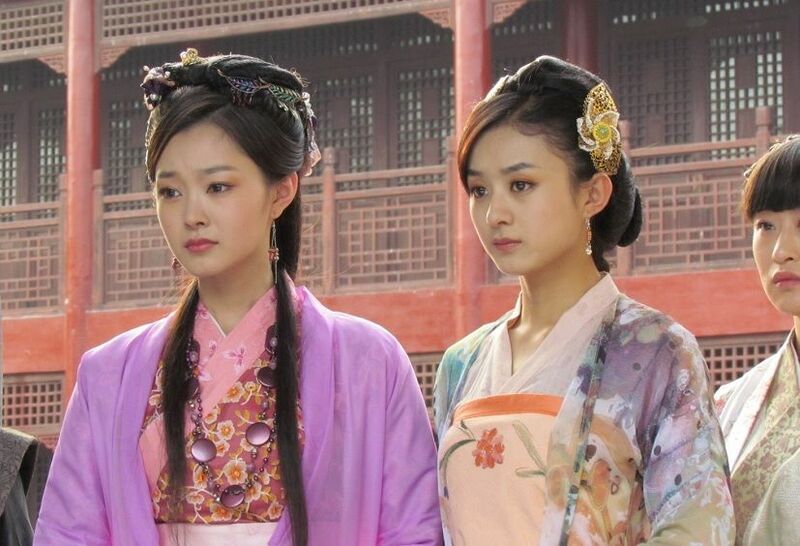 Li Ying and song yi look so adorable together!! 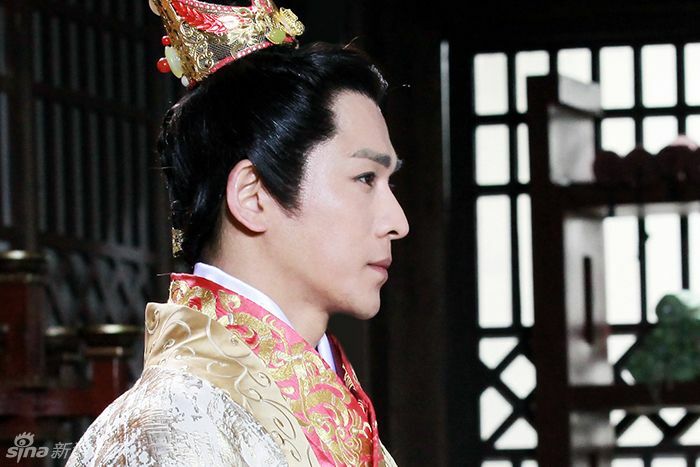 Hope to see them together in the same drama again. 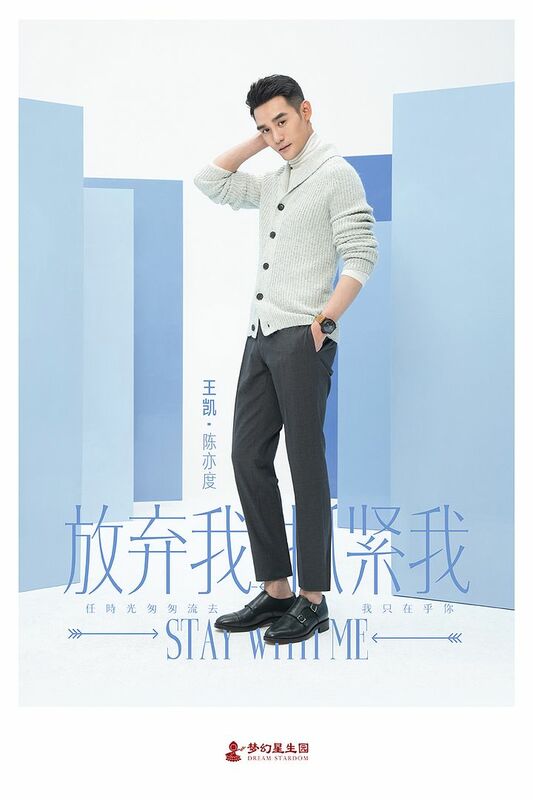 Wallace Chung again? No please, I love the man but he needs a image transformation, just like Hawick, who looks exactly the same from his modern drama to modern drama. 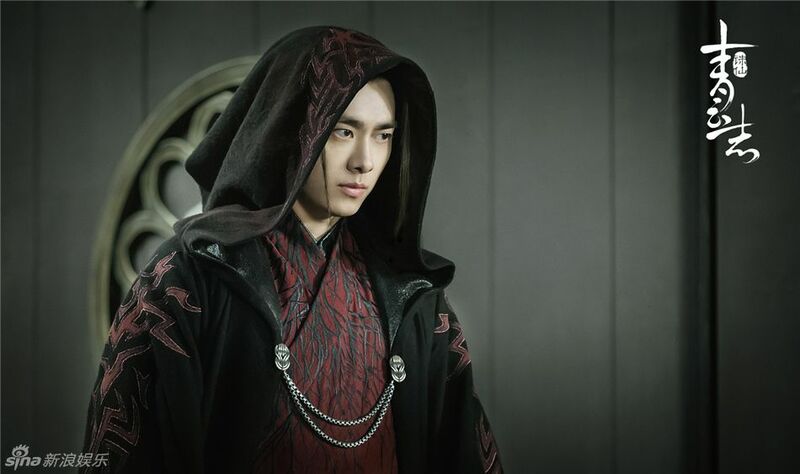 Don’t like the wardrobe on Jiang Xin. I wanted baby with Eddie!!! Omggg whyyyyyy wont he do it??!! Thanks for the news compilation!! 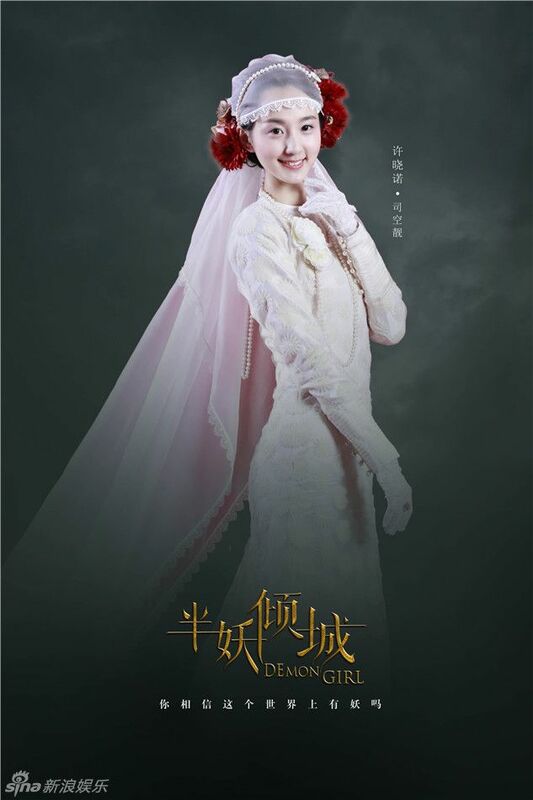 News on weibo is that Wallace Chung has confirmed the role with Angelababy. 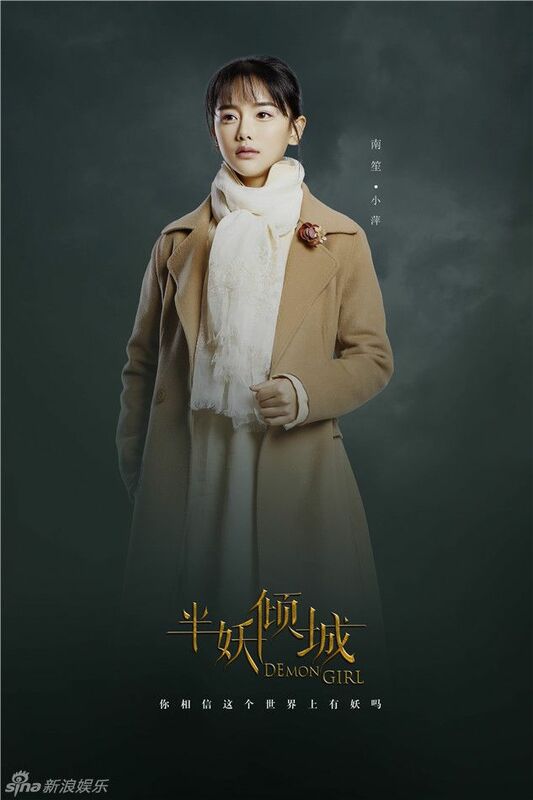 vianna is starting to look the same in all her dramas…. lol… frozen beauty!! you’re right kap! 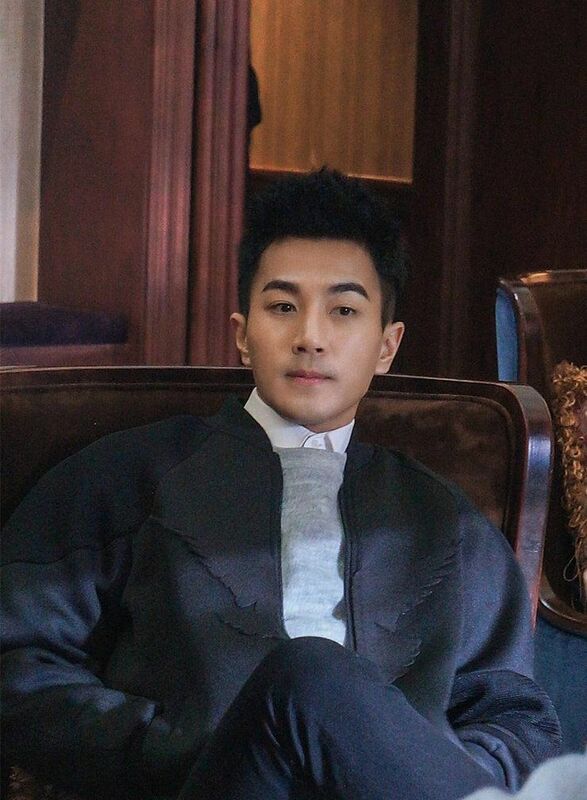 huang xuan looks so hot in those pics!! i ship!! did you continue to watch the imperial doctress? 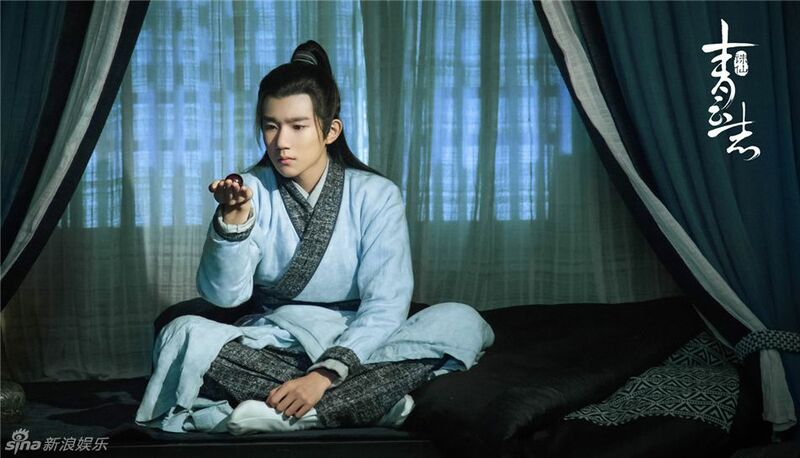 i saw the scene huang xuan slaps lss in the trailer and im not looking forward to that… GAHHHH…. why did they dress joe in a school uniform? omg. her character is over 30 years old!! dress appropriately! ^ Li Ying cracks me up. 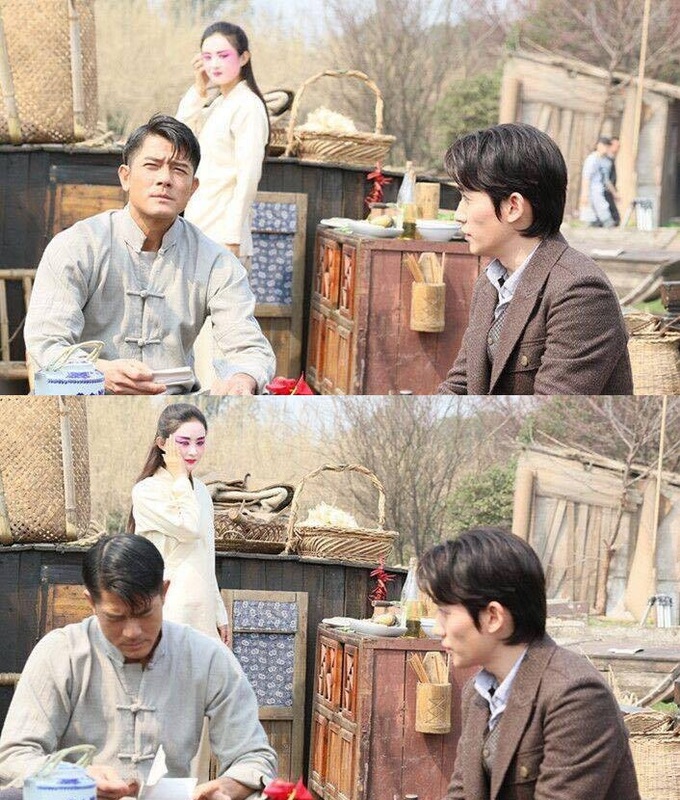 Look at her creeping behind the men on the set of Eternal Wave. So cute. I love LOVE that she has so many looks in that movie. The girl in 15 years looks cute! But why the same old story again.. I’m so sick of F4 stories in all sorts of languages.. 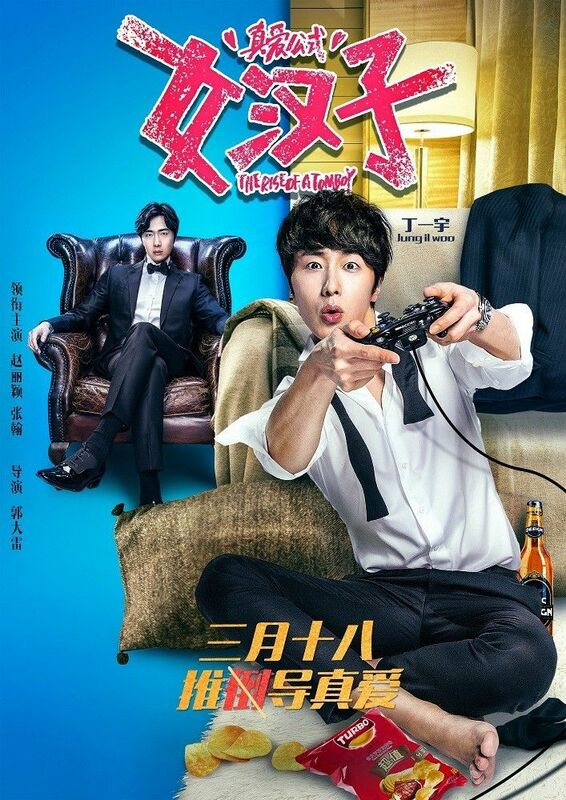 I also read that ji Chang wook is replacing YY in taekwondo girl, tbh isn’t he too old for this? 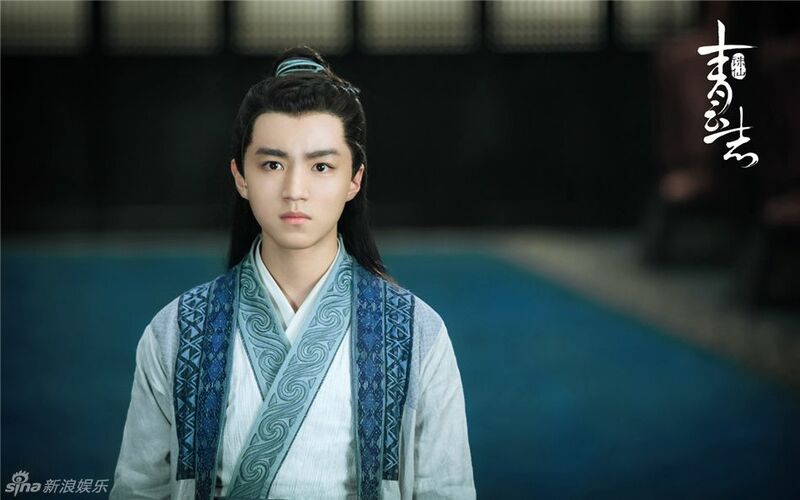 I know YY’s schedule is full but what a shame, he was so handsome as Ruo Bai hehehe. It’s not an F4 story-line. The clip was a promotional teaser, just like an earlier released promotional teaser of the guys + the 2 girls watching what I believe was the World Cup–the clip made it seem like the guys were watching some rauchy/x-rated video with all their various facial expressions until the screen pans out to include the girls in the scene. 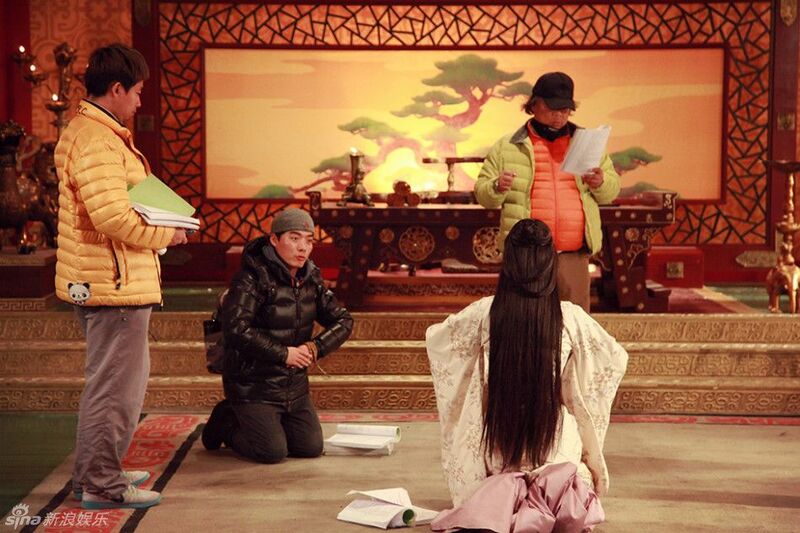 Also, Zhu Yi Long’s hair. 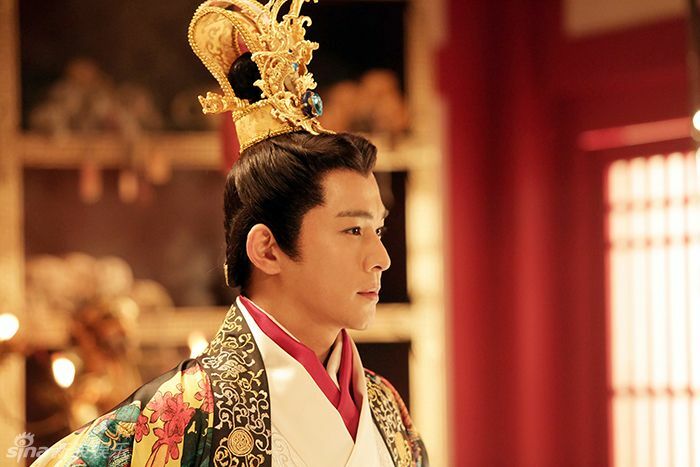 Still think his Qing Ding San Sheng look was the best. 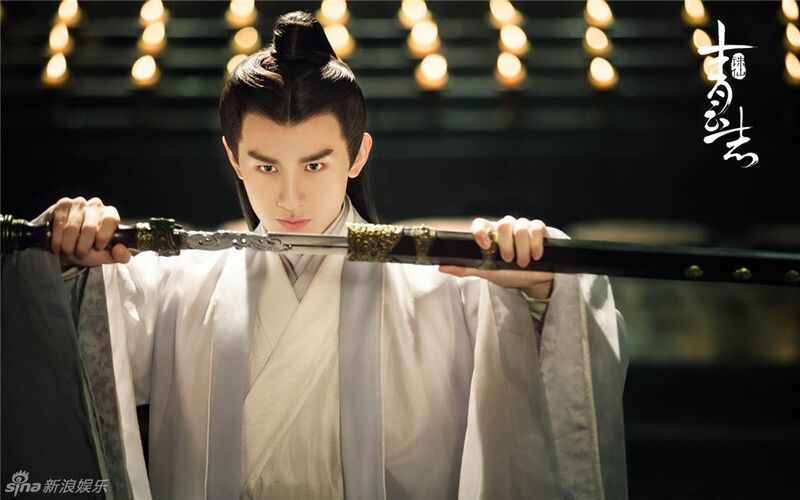 Honestly, I only watched part of Cuo Dian Yuan Yang, and didn’t watch Xi Dian, but I do remember Song Yi. She was the pseudo-prostitute/entertainer (technically not a prostitute, just…like a “dance girl” or something like that…) that the family was against and that third young master was willing to run away with right or something? Basically yes. 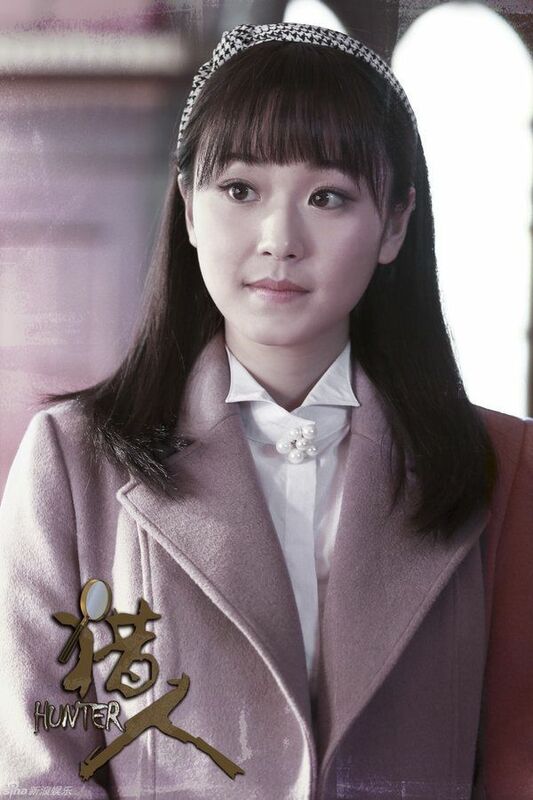 I really didn’t get the young master’s obsession with her to be honest. Their romance was the least interesting in the drama. It’s partly because I don’t think I have finished Li Ying’s segment in the series. Lol. One day I will. You all seem so drama fixated but I’m actually more excited for ex-exo member’s film summer-portrait of a nineteen year old! 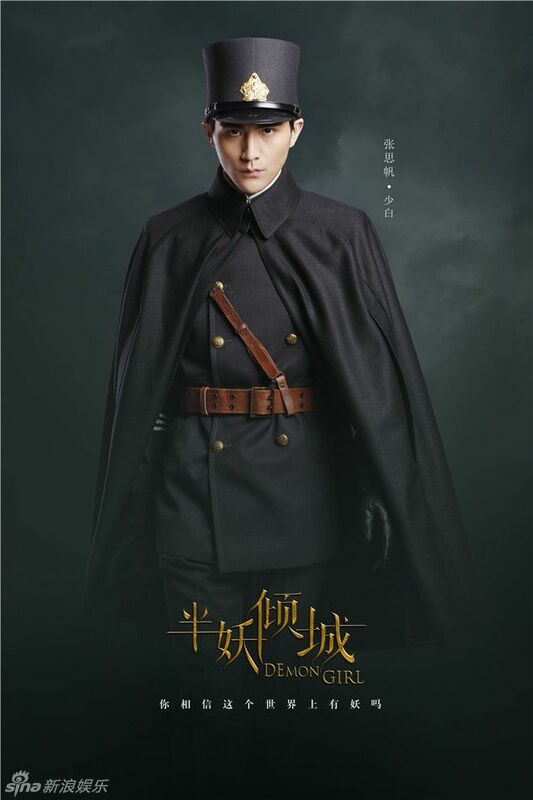 The character setting may sound like a typical idol role but I love that there’s a mystery/suspense factor involved. Hoping for an atypical romance film with many plot twists! Thank you, Kap, for providing all these lists! This set of series will be tough choices for me. I seem to dislike a lead in almost every series. 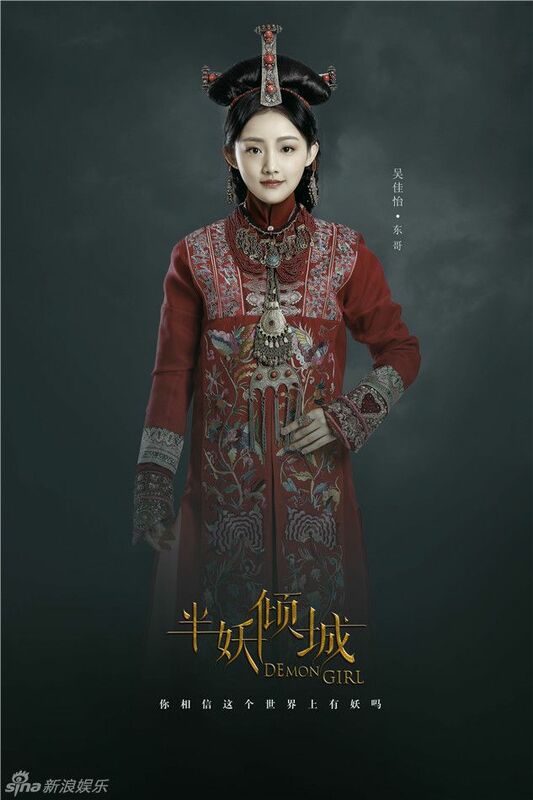 I hope Joe Chen can do roles that are less juvenile, less bratty, less naive. 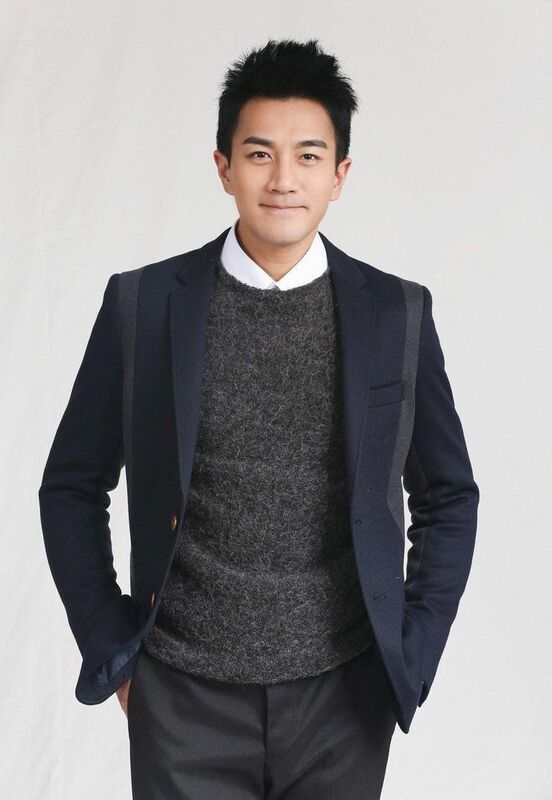 Hawick Lau, and a few actors/actresses (Peter Ho, Nicky Wu, Tang Yan, etc.) that have worked for over 12 years….. I don’t know how many more years they will be doing leading idol roles. Many of these men are in (or approaching) 40s already. 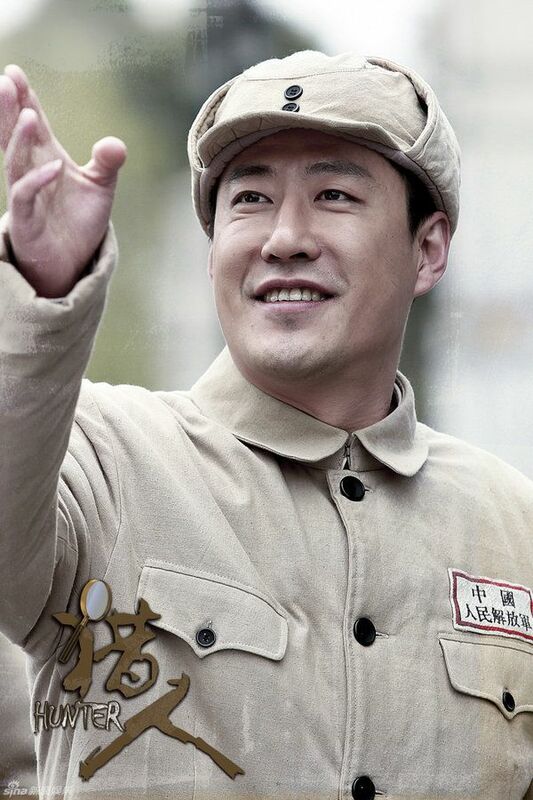 Young, innocent characters played by 40 year old men can easily turn dumb-ish or unflatteringly juvenile. Unless they have top-notch acting skills. 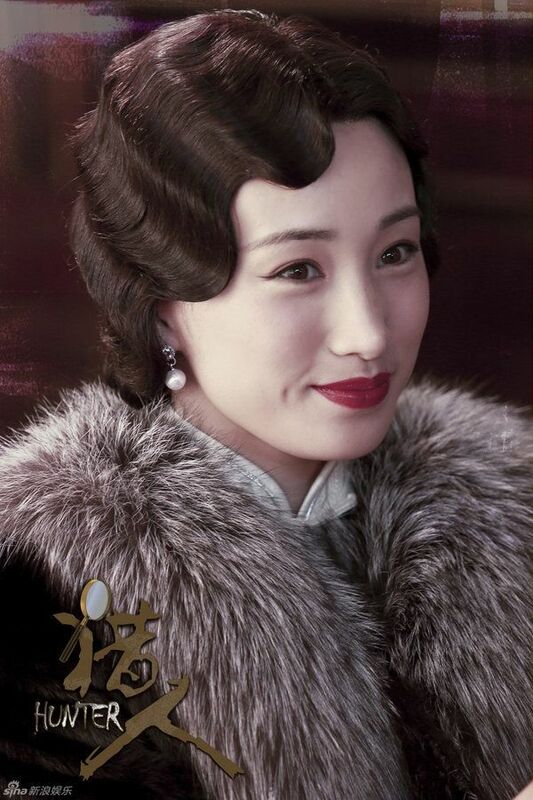 Huang Xuan did show some charm in Imperial Doctress (not among my favorite series). 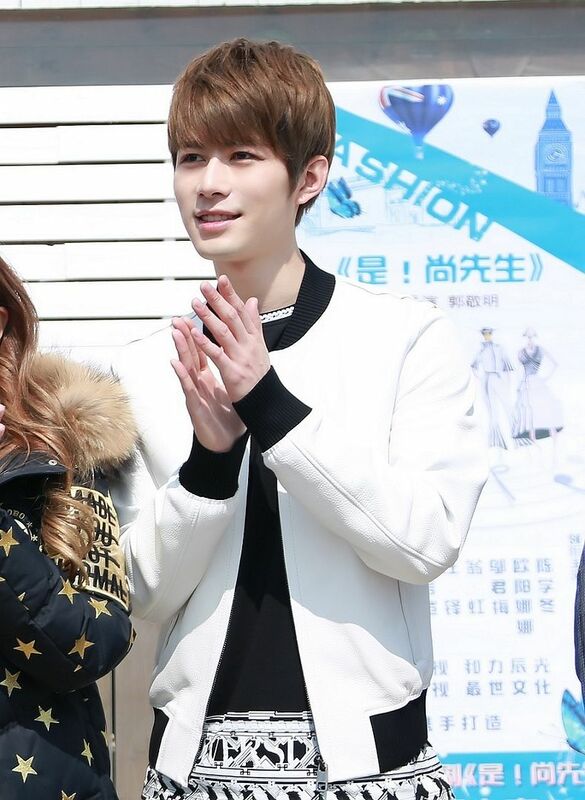 He graduated from BJ Central Academy of Drama, concentrated in “Musicals”, it looks like? 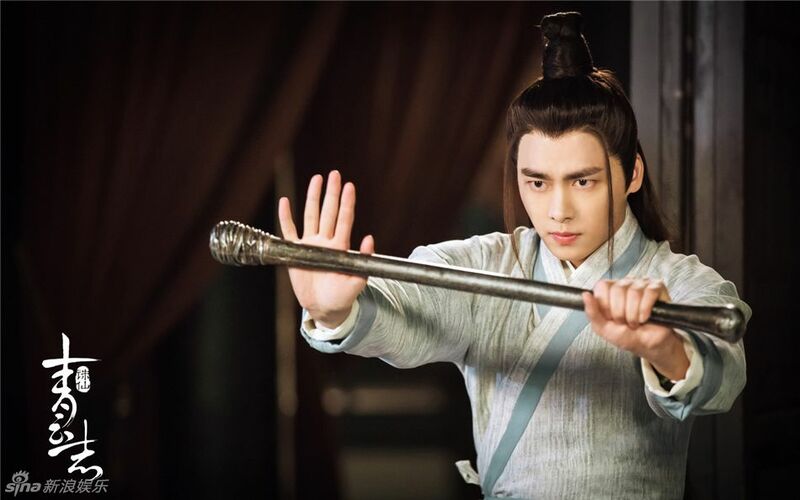 Never could get that interested in Qiao Zhenyu, Li Yifeng, Viann Zhang. Decent looks, but never that captivating. 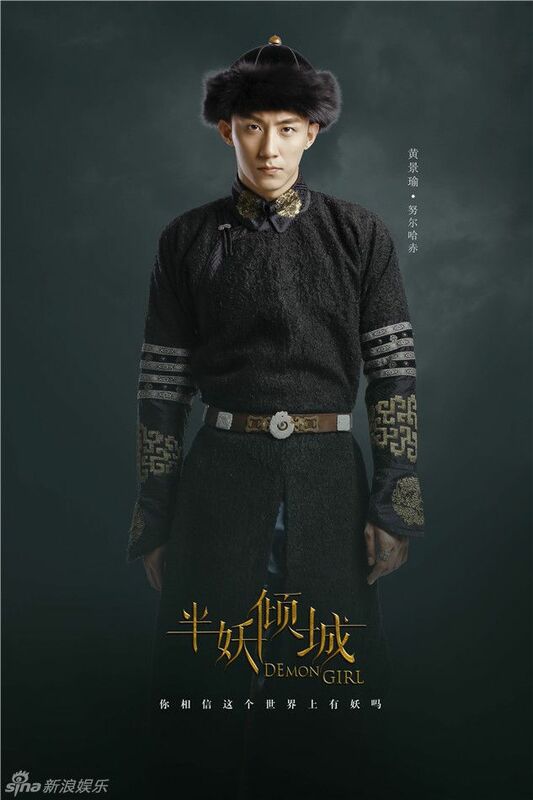 Huang Jingyu seems better at appearing natural on the screen, despite having very little prior acting experience. 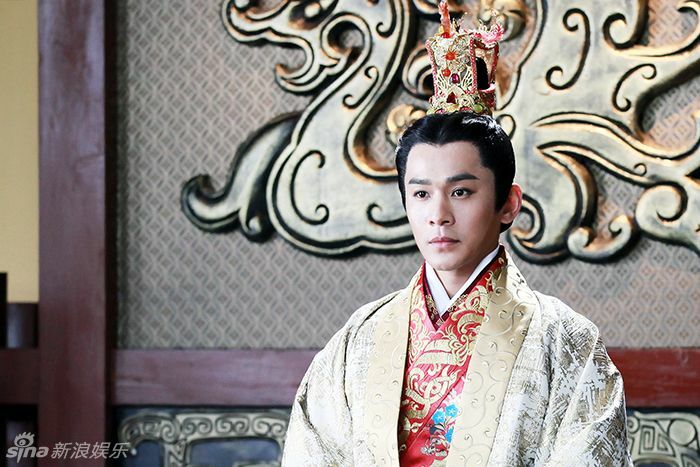 What is the most watchable Mama Yu / Yuzheng series? 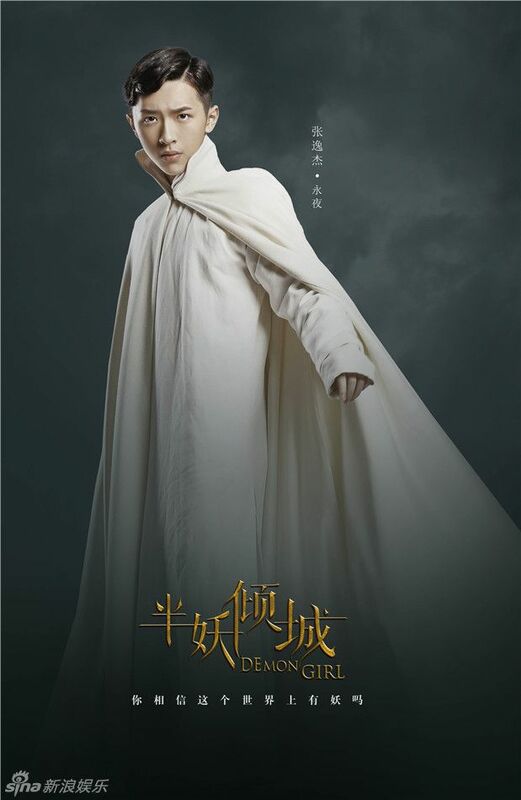 I barely managed to watch Mei Ren Xin Ji and Xiao Ao Jiang Hu. I did not like either one. Shen Diao Xia Lv, Nv Cheng Xiang Lu Zhen, Yun Zhong Ge were unbearably unwatchable for me. That’s a common problem, dream pairings rarely happen these days. They do, just very rarely. Aww, you didn’t like Female Prime Minister? That was the only watchable series for me because I was completely enamored with the OTP and could ignore everything else. Lol.